* Total number of reviews and star-ratings are based on data collected during the time period Performance Based Heating and Air has been using the ReviewBuzz system and may not directly match the data found on each public review site. Jacob came to our vacation home when we were available, to look at the needs and give us an estimate. We had a two story place which had central propane but ducting was only put in the down stairs for some reason and though high efficiency furnace, it did not have A/C. After our first summer finding a couple months where it wasn't comfortable and when cold, the upper bedrooms were cold, so we needed to add both. The mini split seemed the best solution to provide both, though I was expecting a lower price but after considering what it would take to add to the existing system, likely would have been just as much and less efficient. Chance and Jarod got there when planned and worked through the day and into the evening to finish, though by then it was cold and dark. I would have liked to have the line sets placed against the attic wall rather than run directly across the attic joists to make it easier to move around in my VERY TALL attic space. I am also concerned that the wall unit hook ups that were on the outside of the house, may not have gotten insulated as well as they should. They are only 10-12 inches long so may not affect efficiency, but concerns me that this may be a Heat and Cold loss area. Excellent service, On time. Very professional. Reasonable rates. Our experience with Performance Heating & Air was the BEST! James, Chance & Jared all were Fantastic. They knew exactly what they were doing & got our system all installed in just a few hours. They were prompt & communicated well with us! We would highly recommend this company & you would be lucky if James, Chance or Jared were to install your units! Great system. Jacob came over after installation and patiently explained some issues. Install completed as advertised, on budget and on time. Jacob came over within a couple of days of calling the company. He was very polite and professional while assessing our needs in an old, large and funky house. He explained the process of delivering electricity to and condensation away from the split units we needed. We did have to wait approximately 1 month before they could install our units (because they are so popular due to providing a quality product) but they came exactly on the date Jacob said they could start. Then I met Jared. 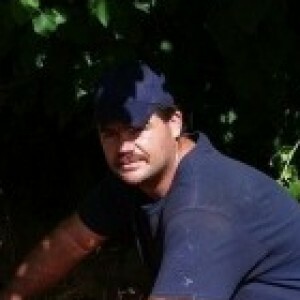 He was in charge of the installation team and again, very polite and professional. His team worked very hard and efficiently AND cleaned up at the end of every day! He patiently explained how the split units and the remotes worked. He said if we had any questions after the installation was completed, to call the company anytime. Customer service is exceptional. The units exceeded our expectations. There is a significant outlay of funds to install split units but you quickly get it back in saving on your electrical bill by only using your the systems in the rooms you need. We are very pleased. I highly recommend Performance Baded Heating and Air. Fantastic Service! John was great - On time, described the work he needed to do, and had the parts on his truck to do the repair the first trip out. I would highly recommend them! Ordered and had installed a Mitsubishi mini split AC system. Everything was done on time and with care. Very professional installers. Very happy with the work done and the equipment. Very happy!!!! Performance Based!!!! The only way to go.... Saved us $$$ 3,300.00 $$$ too!!! When other companies want to replace the unit to make a quick buck... Jacob K. Was able to repair our existing AC. Dirty hands... clean soul!!!!!! My husband retired from the Army after 23 years of service...small businesses with big integrity allow us to feel appreciated in this community. Great experience from start to a superb ending. Thanks, Jacob, Rebecca and crew. From the first call to Performance Based Heating and Air, we dealt with the company owner, Jacob. He came out to our place, and did a comprehensive assessment of our home and needs, and recommended a total of five Mitsubishi Mini-Splits and a 5 ton condenser. Personally, I was skeptical that just five of those units could efficiently cool our 2,600 sq ft home. We took a chance and signed up, because the product truly seemed to be the most economical and effective way to cool (and heat) our home. Jacob described exactly how and where everything would be installed - Everything was done on time and looked exactly how we pictured it. We received prompt notifications when the job began and ended. The installation was top quality (thank you Jared!) and we very were impressed by how smoothly everything went (thank you Rebecca!). Jacob came out after the job was done and went over the best settings for our home - if you think blasting the lowest settings and they highest fan speed is the way to go (like we did), you would be wrong. After Jacob changed them to the proper settings, I cannot believe how efficient these mini-splits are! This weekend the temperature topped out at 105 at our house. Inside was an arctic wonderland. I actually had to the mini-splits down because I was shivering under two blankets and a sweater it was so cold in my house! Just incredible! I would give this business 10 stars if I could - Jacob and his team did everything he said they would. I have never been as impressed with a company as I am with Performance Based Heating & Air - Prompt, fair and VERY professional. I give them my highest recommendation. If you are looking to get a new A/C system, please give Jacob a call. There's a reason Performance Based Heating & Air has nothing but 5-star ratings everywhere - they are AWESOME! Jacob and his crew did an amazing job. Jacob took his time to show me the best options for my home, gave me a great price and kept me up to date until the install happened. Jared, Chance and James were very professional during the install, asking questions when they would affect the aesthetics of the finished home, and we’re respectful of the kids, dog and my sleeping wife. The final product looks great and I would recommend these guys if you are looking for this type of system. Jacob from Performance Based Heating & Air was professional, honest, did the job at a fair price and arrived at promised time. As soon as my air conditioning part came in, I was scheduled in promptly and was grateful during the 100-degree plus heat. I would do repeat business with his company. Thank you Jacob! Excellent service and urgency to repair our AC unit for the guests in our vacation rental property. Super professional and knowledgeable. I got 4 bids and Jacob beat the others by about $3000 for our AC and with a superior product also. What I really appreciated is that they always responded within minutes to our inquiries and constantly updated you on progress. Very personable group also!! Would definitely recommended Performance heat and air. Jacob used a combination of common sense and electronic monitoring to figure out that a 15 year old AC system not repairable. He tried his best and replaced parts that he suspected might be causing the issue. His knowledge such as "This system uses R-22, which will no longer be available in 2 years" helped me decide to replace the unit with a newer, more efficient system - that uses current refrigerant. By the time he left, he had figured out how to get the install scheduled in a timely manner, although he's pretty booked up at the moment. Thanks again Jacob! Jarod and James did a great job installing our heating/air system and finished on time. Thank you! 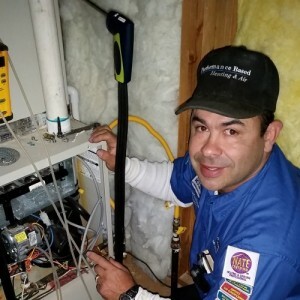 Jacob & his team at Performance Based Heating & Air exceeded my expectations on every level! Jacob has both extensive knowledge & passion for his craft, which I realized within the first 10 minutes of discussion with him regarding my work request. He came up with 4 different solutions for my heating & air situation, then broke out pros & cons for each......The solution we agreed upon was not only the best for my situation, but Jacob also came in at the lowest cost. He gave me a schedule which he & crew completed, even by working in the rain! I cannot say enough good things about Jacob & team.....I would strongly recommend them to anyone! We are so pleased with the installation of our new Mitsubishi Ductless Heating and Air Conditioning. It works flawlessly. Performance Based Heating and Air did an excellent job of the installation. Jared and James worked quickly, efficiently and professionally in the process of installation. Jared and James are an asset to the company. Jacob gave us a reasonable and competitive price for the unit. Any questions we had, Jacob was just a phone call away with an answer. We definitely recommend Performance Based Heating for heating and air conditioning needs. Customer service is always a top priority at Performance Based Heating and Air. Our BBB Membership rating is like a badge of honor as we continuously strive to provide the best experience for our clients.